Automation and manufacturing incorporates RFID technology to streamline industrial manufacturing processes to increase productivity, safety and security. RFID transponders calibrate and track equipment use, repair and maintenance efficiently. Manufacturing today is increasingly sophisticated with involving complexities and automated procedures. With this sophistication has come a greater need to monitor products as they go through the production process to achieve efficiencies that lower operating costs. 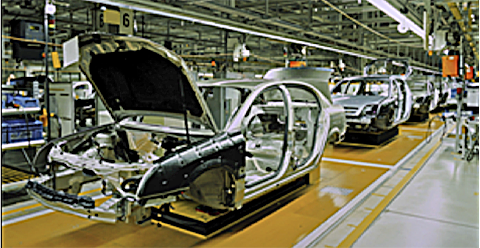 As part of an automation solution, HID Global’s RFID tags enable data to move with a product, adding information as the product travels through the manufacturing process. They also can monitor the performance and repair history of the manufacturing equipment. Support all standard frequency ranges and are durable for use in the most demanding applications and support all standard frequency ranges. Withstand extreme temperatures, flames, harsh chemicals and the rough handling often found in high-volume manufacturing facilities or during transportation. Tags may be branded with partner logos of our partners to support their market positioning. 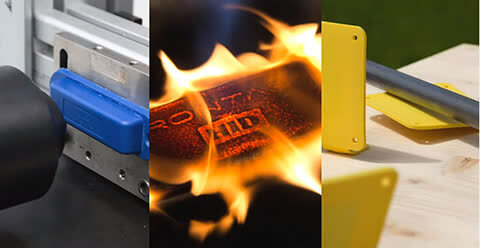 Our tags are ideal for most manufacturing and supply chain automation needs, and HID Global provides custom design services to create tags for special requirements. Repel fire, moisture, oils, petroleum, salt mist etc.